It’s time for class here at the University! Is everyone ready? 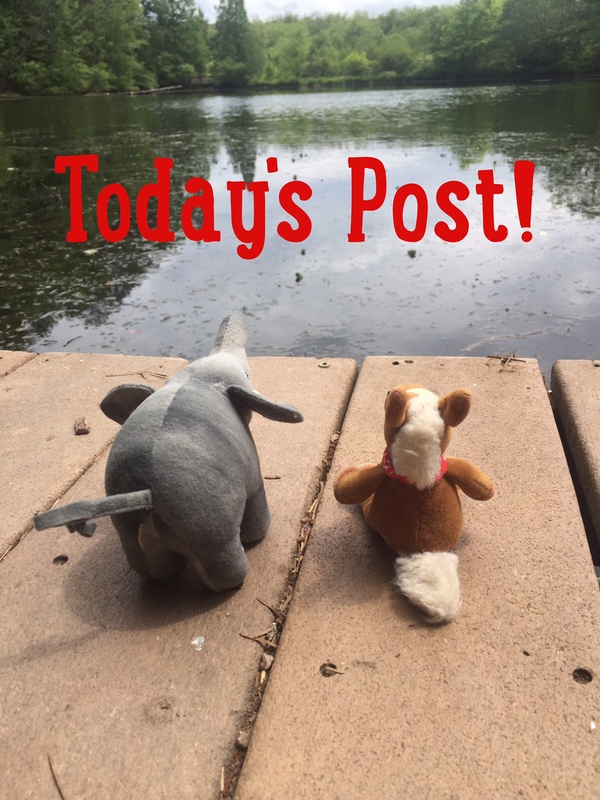 Let’s take our seats and talk about animals who live in the trees! 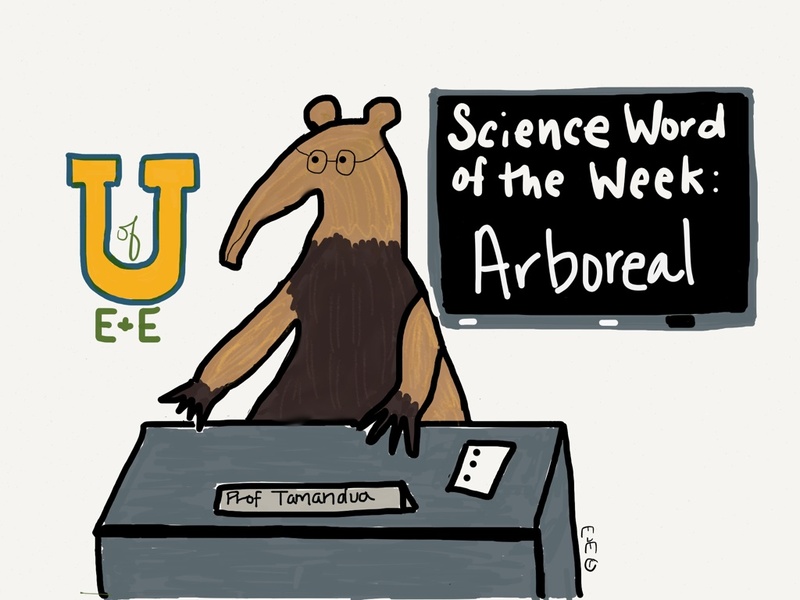 Our word of the week is ARBOREAL: (ärˈbôrēəl) animals that live in trees. Many different animals live on or amongst trees, such as insects, primates, birds and reptiles. Trees provide shelter and food for all these animals. Each animal lives in a different part of the tree. Some animals build nests in trees, like birds and orangutans. Others live in hollow holes. And still some animals live on the leaves. 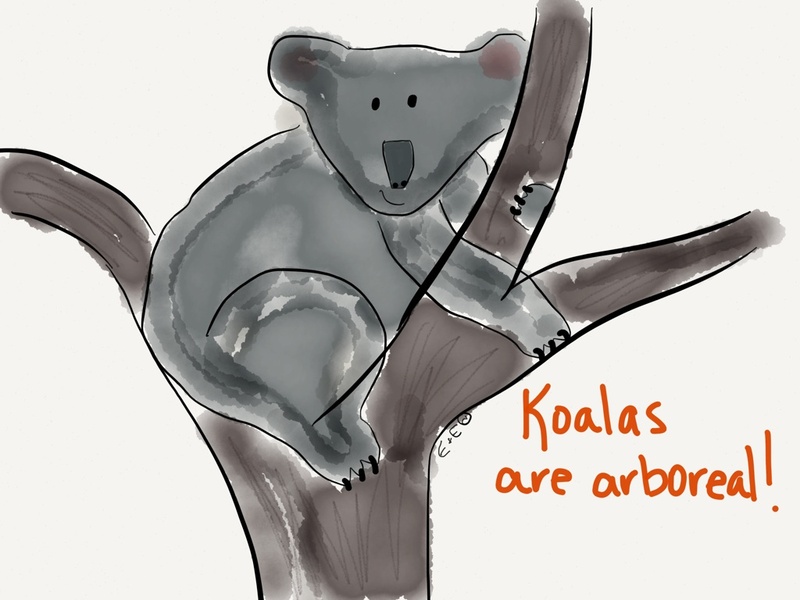 Trees make a wonderful habitat! I know all those awesome things live in the trees. If only I could figure out how to get up there! Hehehe! It would be fun to see a dog climbing a tree!